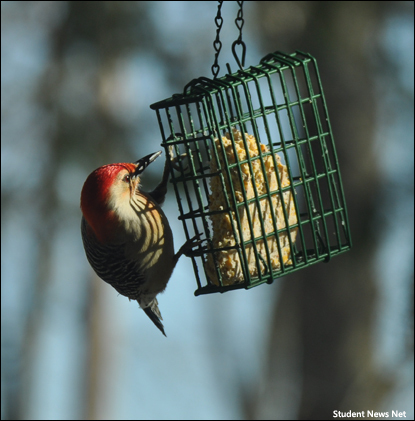 April 3, 2019 - The red-bellied woodpecker is one of 1,027 species of birds protected under the Migratory Bird Treaty Act. Thank you for visiting SNN. For over 15 years, a wonderful team of professionals has been producing SNN with a sharp focus on original, interesting content as both a mediator and motivator for learning. SNN has spent years studying the challenge of providing meaningful integration of technology in the classroom, conducting educational research, and working closely with teachers. The bottom line is that SNN today is aligned to basic principles of learning to support student achievement. Motivating students to read and explore a topic in more depth is one of SNN's greatest strengths. SNN's only source of revenue is subscriptions. We have kept the site ad-free to use every pixel of space to engage students to meet learning goals. SNN is a rare site today in that respect but we need your support through school and home subscriptions to continue the work to which we are so dedicated. Click here to learn about SNN's subscription options! Judith Stanford Miller, M.Ed., M.A.